The Broncos signed Demaryious Thomas to a $70 million 5 year contract with $43 million in guaranteed money earlier today erasing the possibility of him only playing two more years under the franchise tag player deal. It makes him the third biggest wide reciever contracts, just barely behind Dez’s contract. It was the same total but $45 million guaranteed and a $20 million signing bonus. I have not heard of a signing bonus for D.T. but that may emerge later. The important thing is he will be a Bronco for at least the next five years. And the Broncos will concerstate on getting him up to speed with the new offensive plan, so by seasons start he should be up to date and playing well in the new offense. He has had three All-Pro Bowls in a row and he is just coming into his prime as a receiver and the Broncos don’t anticipate any slowdown in his success as the #1 reciever for them. And now he has a chance to be in the Broncos Hall of Fame, let alone any other rewards for him. And his legacy as a great reciever for the Broncos is intact. And our defense is rightly miffed about none of them being selected in the top 100 recently published. They will use that as added motivation to show their skills in the games this season and will prove to their fellow players how erroneous ther shunning was. Go out and have a great outstanding year backfield and show them up! So now the biggest attention will shift back to the Offensive Line that will have four new starters from last season, although Chris Clark was a starter for most of last season, so if he wins the battle to start at RT, the Broncos will only really have three new starters. Going into Camp at end of this month,Ty Sambroilo the starter at LT pushed by Ryan Harris and Ben Garland is the starter at LG, pushed by Shelley Smith. And Gino Gradkowski is the current starter at OC, pushed by Matt Paradis. Louis Vasquez returns to his LG situation and is relishing the chance to be the leader of the Line. And at RT, the above mentioned Chris Clark is penned in at RT, pushed by Michael Schofield. They will have their hands full trying to block the best ftont seven that the Broncos have had in many seasons. And that lineup consists of Sly Williams at NT, Malarkus Jackson and Derrick Wolfe at DT. And the lineup of the LB’s of Von Miller SOLB, DeMarcus Ware at WOLB and Danny Trevathon and Brandon Marshall at ILB shoould rival the best in the NFL this season and the best the Broncos have ever had. And the DB of Chris Harris Jr. and Aqid Talib at CB and T.J. Ward at SS and Derek Stewart at FS and Bradley Roby as the starter in the Nickle paired with that front seven, coached by Wade Phillips should keep them as one of the most forminible defenses in the NFL this season. And that front seven could bresk the season sack record of the Broncos and possibly lead the League this season too. Which should lead the backfield to more interceptions so our Turnover/ Takeaway ratio should be in really good shape too. And our Offense with Zone Blocking should give our offense a more even balance between running game and passing game. And give Peyton more lethsl options to throw daggers in opposing defenses. And Zone Blocking should be easier to get savvy at for our OL, so by seasons start and the practice they get against that great Front Seven should help them hone their skills and by seasons start the OL should be preety solid. So I am looking forward with great interest to this teams success this year and I think they have a great opportunity to be the third member of the 8 Super Bowl Appearances Club and be tied for second in that group with three wins. So hopefully it will be a very memorable season for the team, the organization and all of Broncos Country across the USA and internationally! 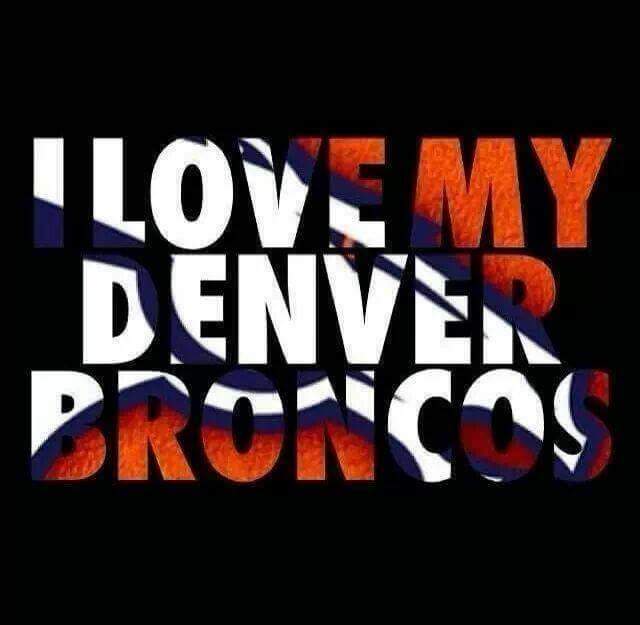 SO GO,GO BRONCOS AND SEIZE THAT LOMBARDI!! !